Sylvatica Studio designs landscapes that elevate the essential character of places and support their natural and social systems. We specialize in the planning and design of green spaces, including parks, gardens, and preserves, and we work in urban and rural settings, from streetscapes to riparian corridors to coastal ecosystems. We focus on what is most important to our clients by paying rigorous attention to each project and infusing our process with discipline and creativity. Designing beautiful and evocative landscapes begins with on-the-ground, deep site systems analysis and thoughtful exchanges with communities to determine their aspirations for a place. We combine this with our depth of experience gained from broad travel and knowledge of landscape history, altogether leading to profound understanding of the essence of a particular place. We are energized by working with communities to connect the landscapes of people and nature in urban and natural environments through the careful planning and design of green space. We find inspiration in ecological and social systems, and design to be minimally invasive and restorative of these, while contributing thoughtful solutions to the built and natural environment. Good design is multi-functional and provides healthy, dynamic social settings, resilient natural environments, green relief in urban settings and visual and cultural interest. We find that regenerative systems, such as plantings that filter runoff to improve water quality and promote healthy habitats, also serve to re-engage people in newly complex and appealingly rich landscapes. Founding Principal Susan Stainback brings expertise and inspired leadership to complex landscape and environmental projects. Susan is lead designer and planner for Sylvatica, working in collaboration with client groups and professional associates. Her work is known for substantially benefitting natural and social environments in Urban Parks and Greenspaces, Cultural Institutions, Natural Preserves, and Urban Commercial environments. A Graduate of University of Georgia’s School of Environmental Design and Harvard University’s Graduate School of Design, Susan brings an in depth approach to site and ecosystem analysis, high design and detailed implementation. Susan has been a licensed Landscape Architect in Georgia since 1988. Ryan is an experienced landscape architect and planner with 18 years of site design, project management, and technical experience. He has successfully led a broad range of projects for prominent conservancy and institutional clients as well as private and commercial clients. Ryan has proven leadership skills including team-building, mentoring, problem-solving, and negotiation skills. His extensive experience with construction projects has led Ryan to become a technical leader in the firm. A Graduate of the University of Georgia’s School of Environmental Design, Ryan believes the built environment should mesh cultural patterns with ecological systems. Ryan is a licensed Landscape Architect in Georgia. Curtis Alter came to landscape architecture through a number of distinct interests: design and visual communications, cities and human behavior, science and ecology, gardening and horticulture. After graduating from the University of Georgia’s School of Environmental Design, he moved to New York City to work at Michael Van Valkenburgh Associates. Curtis has developed strong design, graphic communication and construction documentation skills, and experience in interdisciplinary coordination that have been integral to the success of Sylvatica Studio projects since Curtis joined the firm in 2014. Curtis is a licensed Landscape Architect and a member of the American Society of Landscape Architects. 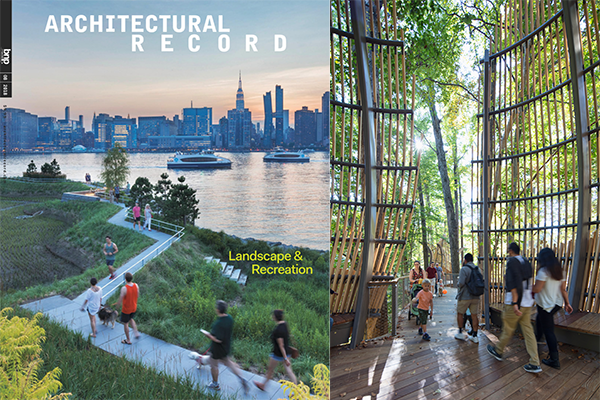 Architectural Record magazine’s August issue features WildWoods, along with other landscape architecture projects. See the article here. Sylvatica designed the Midtown MARTA Station plaza activation for the Midtown Alliance and MARTA. 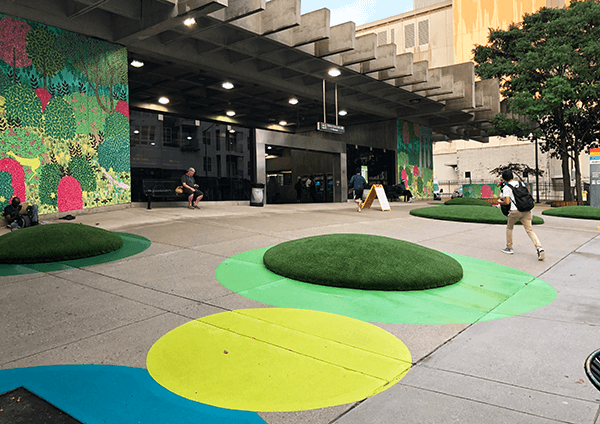 The work has just been completed and includes raised elements, pavement paint patterning, furniture and performance space, at the ground plane level of the Midtown MARTA Station and the GA Tech Trolley stop. The work was designed in collaboration with the vertical surface mural paintings by Andrew Catanese. Mercy Park and Armour Yards are finalists for the ULI’s upcoming awards celebration. Learn more about the event here. 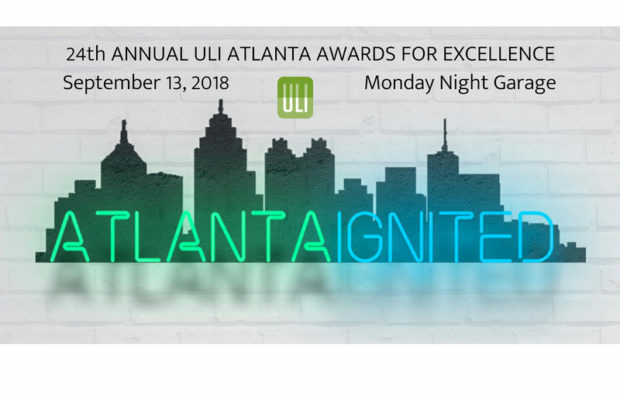 Three Sylvatica projects win Georgia AIA Merit Awards! Fernbank Museum Wildwoods, One Museum Place, and Three Alliance Center projects are recognized with Merit Awards by the Georgia American Institute of Architects. See the projects here. “A Forest in the City in a Forest” by Jonathan Lerner gives a detailed overview of Sylvatica Studio’s Fernbank projects, including the Master Plan and Fernbank WildWoods. 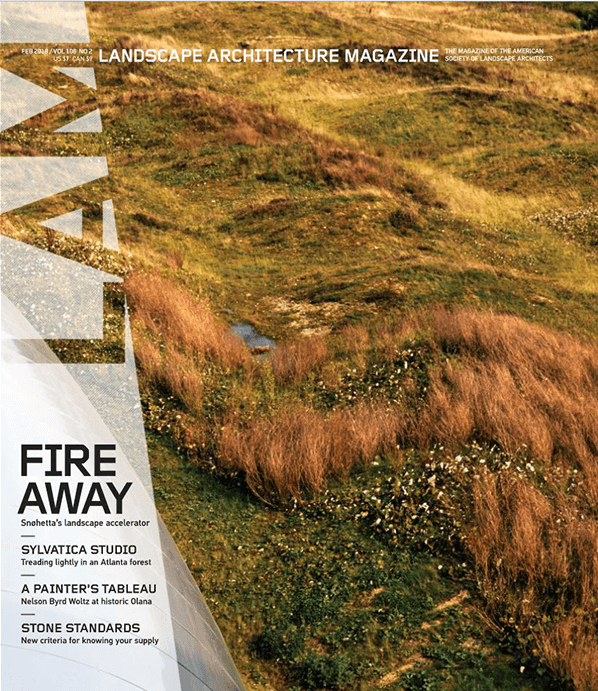 Check out the February issue of Landscape Architecture Magazine! 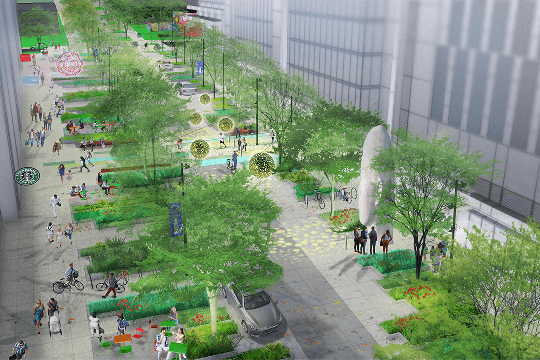 Midtown Alliance CEO, Kevin Green, has revealed Sylvatica Studio’s vision for an “Art Walk” along Peachtree Walk from 10th Street to the Arts Center. Sylvatica Studio’s design for Fernbank Museum of Natural History Wildwoods wins Honor Award at the ASLA Southeast Conference.